FEATURE — Stress is a universally experienced phenomenon. Although there are many causes, the methods of managing it are generally the same. Research from varying professionals helps explain how coping strategies work, broken into three categories: physical, mental and social. Research confirms that being physically active leads to physical, mental and emotional benefits, both immediately after and long-term. Exercise can be as successful at decreasing depression as anti-depression prescriptions, according to Sonja Lyubomirsky, University of California Riverside professor and author. Exercise stimulates the release of “feel good” chemicals that help improve mood. Even slight levels of sleep deprivation can affect judgment, memory and mood, according to the American Psychological Association. When you do not get enough sleep, the areas of the brain that experience anxiety and worry are impacted. In addition, while you sleep, your muscles are repaired and your memories are consolidated, preparing you for the next day. Chronic sleep deprivation can lead to obesity and high blood pressure and can cause you to feel overwhelmed, less motivated and less able to concentrate. The National Center on Health, Physical Activity and Disability explains that certain nutrients, such as thiamin and folate, help with nervous system function. Deficiencies in these nutrients can lead to irritability, depression and poor concentration, causing stress. In addition, the APA notes that when you overeat or eat unhealthy foods, you will tend to feel sluggish and think negatively about your body, causing more stress. Stress and dehydration affect each other and produce similar symptoms such as headaches and fatigue. Staying hydrated can help stave these off. To avoid burnout, it is important to find an outlet that lets you relax and enjoy what you are doing. Taking a vacation, listening to certain types of music, checking email less often and laughing have all been shown to reduce stress levels. Relaxing the body through deep, controlled breathing helps fight off the physiological symptoms of stress. In addition, feeling in control of just one thing in life – in this case your breathing – is empowering. Meditating increases your self-awareness and helps you gain a new perspective, focus on the present and reduce negative emotions. Spirituality is not necessarily synonymous with being religious. It has more to do with finding purpose and context for your life through something larger than yourself. Spiritual people tend to be happier, have better mental and physical health, cope better, have more satisfying marriages, use drugs and alcohol less and live longer. Writing is a great way to calm the chaos of life. Because writing is, by nature, highly structured, it can help you put your thoughts together in a coherent manner and help you find meaning in your experiences. It also helps you to learn about yourself and feel in control of your life. According to Mayo Clinic research, positive thinking allows you to “approach unpleasantness in a more positive and productive way.” It improves your outlook on life and can lead to health benefits such as greater resistance to the common cold and improved cardiovascular health. Optimistic people often have healthier lifestyles as well. Knowing that you are not alone facing your stressors can empower you. The Mayo Clinic asserts that people with strong social support networks are healthier and live longer. This is likely because a social support network increases your sense of belonging, feelings of self-worth and of security. In addition, others often have a different perspective and may suggest changes or coping strategies you had not thought about. Animals reduce tension, improve mood and can be a nice icebreaker in social interactions. 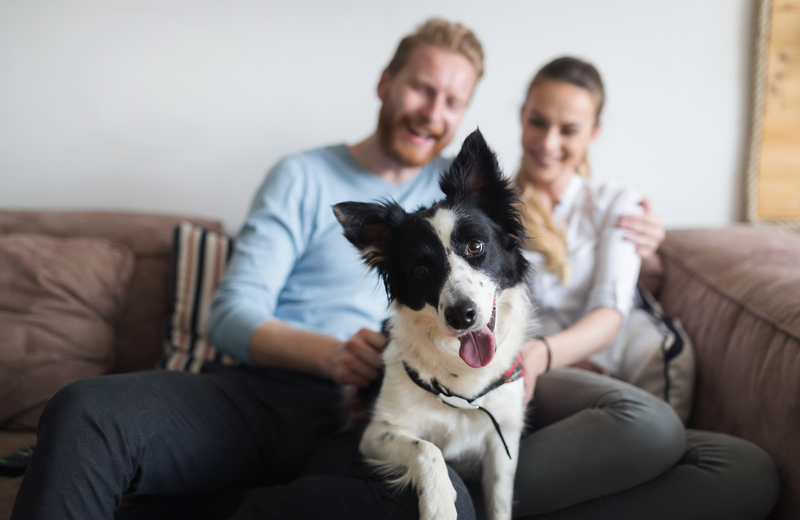 According to health journalist Kathleen Doheny, having a pet yields unconditional love, a diminished sense of being alone, physical contact, a consistent daily routine (often including exercise) and an increased sense of self-esteem from caring for it. However, the benefits of having a pet are reduced if doing so causes worry, is not affordable or if you aren’t in a position to provide care. Therefore, a pet is not a one-size-fits-all solution for reducing stress. The Mayo Clinic proposes that saying “no” to one thing means you are saying “yes” to another priority. Doing so can also open up opportunities to try new things and for others to step up to what you are turning down. Being able to say “no” reflects a healthy level of assertiveness and self-confidence. Always saying “yes” causes stress, which over time can lead to burnout, resentment and illness. If your stresses become overwhelming and burdensome, seek professional help. The Depression and Bipolar Support Alliance notes that a good therapist may help you cope with the stresses or traumatic events you have or are experiencing by helping you identify the triggers and develop a plan to help you cope with and make sense of them. Written by DAVE SCHRAMM, Utah State University Extension family life specialist, and JENNIFER VIVEROS, M.A.